Oh how I love myself a weekly Aldi Special Buys Catalogue! 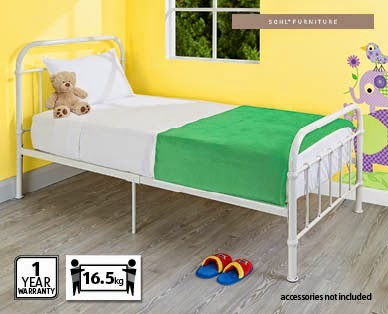 And let me tell you, the catalogue that landed in my letterbox over the weekend was an absolute beauty for anyone planning a room for a little one. Too early for me to think about a big bed for Miss C?! Probably!! But it doesn't mean that I cannot start planning out the transition from nursery to toddler room does it?! 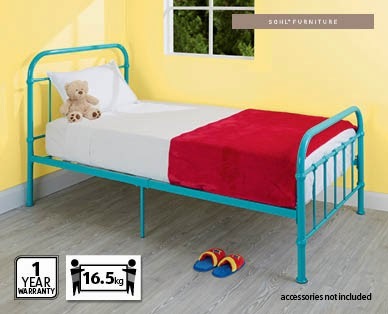 These Aldi Steel frame beds are priced at $89.99 (not a typo folks!!) and come in Teal, White and Red. Such a great price!! 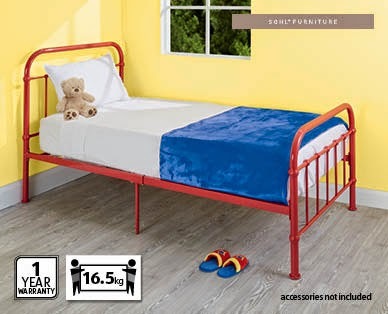 Random question - for those that have this style of bed for littlies, do you find that they hit their heads etc? Love to know!! More info can be found on the Aldi website here. 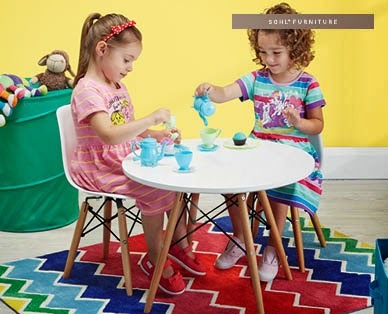 I need another kids table and chairs set like a hole in the head (4 sets and counting), but I am absolutely LOVE this Eames Replica set from Aldi. Set is priced at $99.99 (table and two chairs). More information over on the Aldi page here. These bargains go on sale in stores tomorrow (Wednesday 25 February) and something tells me that they are going to be very popular, don't you think? !